The new leaders of the country must be people who can lead Mali toward progress; they must be able to rule the country well. The rebellion in the north of the country is a matter of concern even for those of us who are living in rural places in the south. How to put an end to this war should be a priority for the leaders. If negotiation can be definitely a solution to the problem we must sit down and discuss with the rebels so that the country can be unified for progress. We are not directly affected by the rebellion, but we are affected in some way as other Malians are suffering. When some of our fellow citizens are injured in war or if they suffer from it all the Malians should be concerned. So we are all wounded by the rebellion. This is why we want this rebellion to be ended through negotiation. All the people living in Mali should work together, hand in hand, to find a solution to our common problems like food shortage. If there is war in the country, food security cannot be guaranteed. If the country is divided we cannot find the right solutions to our problems. So our hope here is the end of rebellion. We are praying to God to appease the hearts of those who took guns to fight against their country. We are thinking of those who are refugees out of the country; we’d like them to come back home safely. I think the former president [Amadou Toumani Touré], who has been overthrown by soldiers, didn’t govern the country well. One example is he promised good education for children. Instead, he set back the quality of education. Teachers, including those of my village’s school, often go on strike over poor pay. Children and young people were among the former president’s strongest supports, but their right to education was not respected under his rule. That was a problem! However, as the president was elected he should not be chased from power with guns. Civilians are governing again, but the political problems are not yet over. Dioncounda Traoré (former president of the national parliament) has been sworn in as interim president. There is also a new prime minister. 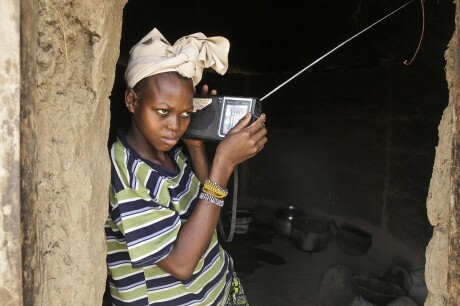 But we continue learning from the radio that the negotiations continue between the civilians and the soldiers.